Creating a website that works well on mobile isn’t easy, but it can be done. As long as you check your site thoroughly before shipping it, there’s no reason why mobile users shouldn’t have a great experience. However, you may wonder what elements need your attention the most. In this article, we’re going to provide you with a simple checklist of seven criteria your site should meet. If it does, your users will probably have a great mobile experience, and if it doesn’t, we’ll tell you how to turn things around. Let’s start with point number one! Having a mobile-friendly website is more important than ever nowadays. The term ‘mobile-friendly’ sounds a little vague. To put it simply, a site can be considered mobile-friendly if you can consume its content easily and interact with it using mobile devices of any sort. Keep in mind though, no automated test is perfect – so you’ll also need to exercise some common sense. To that end, here are some tips to help you ensure your site is as friendly as it can be for mobile users. Given the importance of mobile traffic, it’s critical that every website you build is mobile-friendly from the get-go. This checklist will help you make sure it hits every step. Let’s take a look! Testing your website at multiple resolutions is easy with the right tool. One of the most important things when it comes to mobile sites is that your site doesn’t look like it was shrunk from its desktop version. This means every single one of your elements should look good at multiple resolutions. If, on the other hand, none of your elements look good on mobile, it may impact your bounce rate negatively. The smart thing to do is test your website at multiple resolutions beforehand and see if any issues arise. Chrome Dev Tools: This built-in Chrome browser feature includes a Device Toolbar you can use to test your site at multiple resolutions. Services such as Screenfly and BrowserStack: These third party services enable you to test your site across a much wider variety of resolutions. All of the tools we’ve mentioned are free, so budget shouldn’t be an issue and there’s no excuse to skip this step! Ensuring your menus display well on mobile is important to keep your site usable. In most cases, menus are the main way that people navigate around your site. If your links are tough to click or read at smaller resolutions, it will affect usability. In addition, you also want to ensure all of your menu items are easily accessible regardless of the device used to browse. Check that all menu elements are visible. If not ascertain whether they can be reached by scrolling. Make sure each link is aligned, and that sub-menus are nested. Double-check if you can read each menu item as well as click on it. 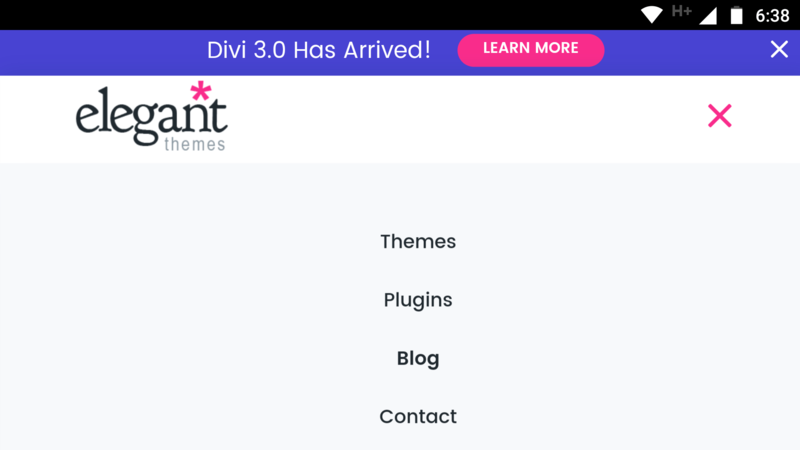 Most modern WordPress themes such as Divi will automatically create responsive menus for you. 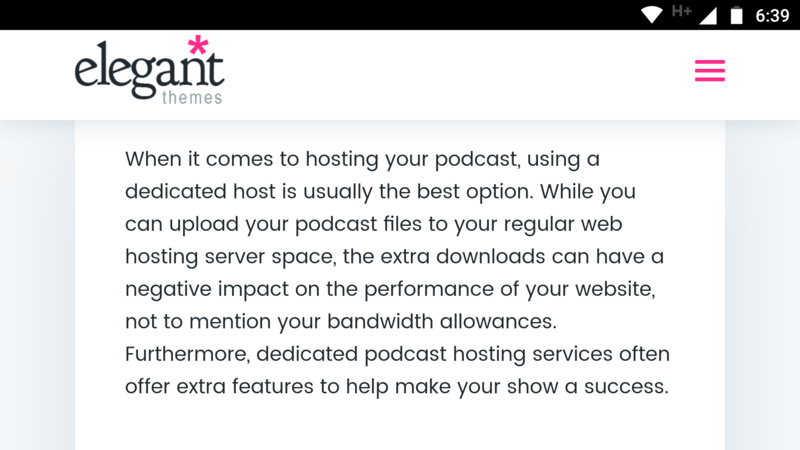 If you’re running into problems with this aspect of your site, it might be worth considering updating to a new theme. Your site’s images should look equally stunning regardless of their resolution. Images are a key component to any website, but sometimes your graphics may not look their best at lower resolutions. For example, if your logo isn’t readable when someone accesses your site via mobile, it’s clearly going to affect your branding. Focus your efforts on images important to your branding. Look for scalable alternatives to popular image types, such as SVGs. Whenever possible, opt for better-cropped images, so they’ll look better at smaller sizes. As long as you keep these tips in mind, you should be good to go. Just remember that when it comes to very complex images, such as infographics, it might not be possible to adapt them completely to low resolutions. Smalls screens can impact readability, but it’s easy to adjust to them. One aspect that impacts mobile device usability the most is readability. When you’re working with a smaller form factor, you need to compensate by making sure your text still displays at a size that’s readable, instead of simply shrinking. The goal here is simple – your users shouldn’t have zoom and pinch their way through your site. After all, that’s a perfect recipe for an annoyed visitor. Pick a highly-readable base font for the body of your content. Use subheadings whenever possible to break down your content into easily scannable sections. Opt for a theme that gives you more control over how your text displays. With regard to our last point, a lot of modern themes should offer you the control you’re looking for. 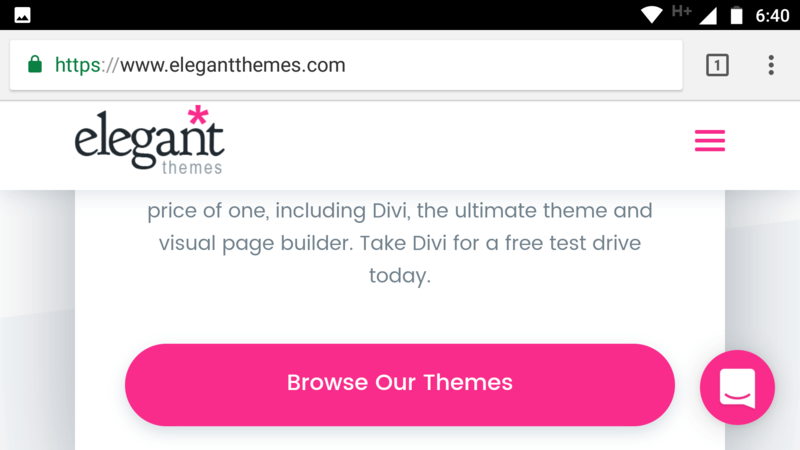 For example, Divi enables you to fine-tune the size of any module text for both desktop and mobile. It can be tricky to interact with elements using your fingers, so you’ll have to adjust your designs. This step could cover a lot of ground, but bear with us. So far, we’ve covered how important it is for your menus to be easy to use, but the same also goes for the rest of your site’s interactive elements. Buttons, links, forms, and more – they all need to remain usable for mobile devices. The key consideration here is, of course, size. As we move downwards in resolution, most of the elements we’ve talked about shrink as well. It’s your job to test if they’re too difficult to interact with, since that can impact your site’s usability. Make sure your Calls To Action (CTA), forms, and menu items are easy to click. Check if there’s any overlap between critical elements, which could cause users to click the wrong one. Once you know which elements are giving you trouble, it’s just a matter of resizing them as needed. If you’re using a theme such as Divi, you can do this from each module’s settings screen. Pop-ups can be effective, but they also impact your site’s usability. Opt-in pop-ups and the like often result in very significant increases in conversion. However, they also tend to annoy at least as many people as they convert. It’s hard to pinpoint exactly how many people you scare off if you use intrusive mobile pop-ups, but we can tell you that some search engines – such as Google – will penalize you for it. If you use any pop-ups that obscure your main content or force users to go through them before accessing it, your Search Engine Optimization (SEO) will suffer for it. It’s hardly groundbreaking, but optimizing your forms and CTAs can net you a bigger payoff in the long term, since you’ll alienate fewer users. Plus, your search engine rankings won’t be affected either. If your website loads in less than a second, you can be very happy with your results. 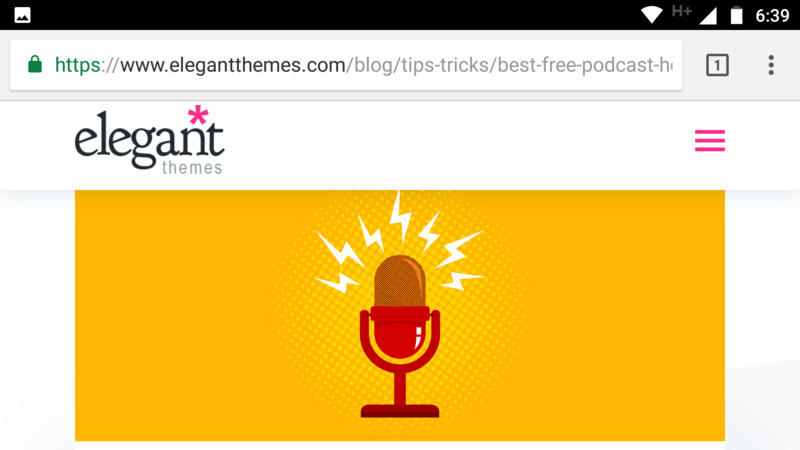 If you’re an Elegant Themes regular, you’ll know we always emphasize performance whenever possible. A fast-loading site isn’t something that a lot of people notice, but they certainly take note when the opposite happens. High loading times often lead to an increase in your bounce rate, and they make your site less usable. Moreover, they’re particularly important for mobile users since some of them may be browsing your site using less than optimal connections. Try a mobile-optimized theme such as Divi if possible. Optimize your images so they take up less space. Implement a caching solution for your website. These are all solid steps, but they’re not all you can do to keep your loading times low. For more information, check out this full piece we published a while back on how to optimize your WordPress setup. Making sure your website is mobile-friendly is more important than ever. If the current trend keeps up, you’ll see most of your traffic coming from mobile sources over the next few years (if it doesn’t already). The smartest thing you can do right now is to provide an equally substantial experience on both desktop and mobile devices. Test your website at multiple resolutions. Make sure your menus and navigation display well on smaller devices. Check if your images look good at lower resolutions. Test your content for readability. Ensure your site’s elements are easy to interact with. Make sure you’re not overly relying on pop-ups. Test your website’s loading times.